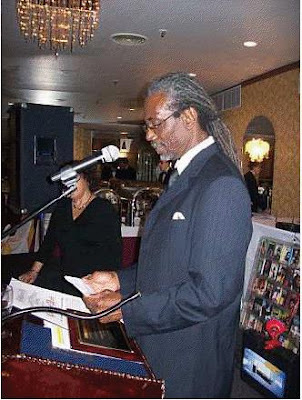 New York – The Board of Directors of the Garifuna Coalition USA, Inc. a, nonpartisan, 501(c)(3) tax-exempt nonprofit organization is pleased to announce that Mr. E. Roy Cayetano will be presented a Garifuna Heritage Award, during the First Annual Garifuna Heritage Awards and Cultural Night on March 13th 2010 at 7 PM at the Hostos Center for the Arts & Culture, 450 Grand Concourse Bronx, NY 10451. E. Roy Cayetano, is an educator, a linguist and an anthropologist who has contributed to the Preservation of the Garifuna Culture through the People`s Garifuna Dictionary and has served as a consultant in the effort of the Government and the Garifuna people of Honduras to develop a Garifuna language program for the schools of that country. He is also committed to the collection and preservation of songs as well as the promotion of various aspects of the culture. He is the author of the poem “Drums of My Father”, which is one of the better-known Belizean poems. On May 18, 2001 UNESCO recognized the Garifuna Culture as a masterpiece of the oral and intangible heritage of humanity. This designation means that it is an important culture that should be preserved, promoted, and celebrated. Then National Garifuna Council president Roy Cayetano compiled and submitted the candidature file to UNESCO. Mr. Cayetano has also served as Secretary General of the Belize UNESCO Commission, chief executive officer in the Ministry of Rural Development & Culture, Deputy Minister of Culture in Belize and as a Senator. A dynamic cultural stage production will feature James Lovell and the AfriGarifuna Youth Ensemble, Hamalali Wayunagu Garifuna Dance Company, Chief Joseph Chatoyer Garifuna Folkloric Ballet of NY, Paula Castillo and Hechu Garinagu and a grand finale directed by Mr. Meléndez.